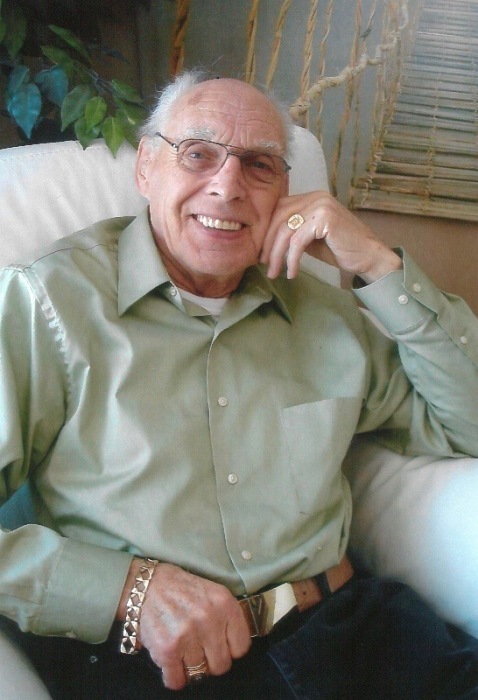 Obituary for Antonie "Tony" Mulder Sr. | G.F. Oliver Funeral Chapel, Ltd.
Tony Sr. passed away peacefully on January 18, 2019 surrounded by family. Tony Sr. was born in Ugchelen (Apeldoorn), Netherlands on April 7, 1933. He served his country as a Grenadier in the Queen’s own guard with pride and honour. After immigrating to Canada in 1956, he worked for Ford Motor Company in Oakville, then made his way up north to Wawa where he met his wife Johanna and they married in 1963. There began his job as an underground miner for Algoma Steel. They had three children, Tony Jr., Delilah, and Bekki. The family moved to Wynndel, B.C. in 1973 where Tony Sr. worked at Wynndel Box and Lumber, until his retirement. He enjoyed his retirement which gave him the time to do many creative endeavors such as building, constructing, and landscaping. He loved keeping busy and was a proud Canadian. Tony Sr. was a member of Shriners, and enjoyed being a member of the clown unit. He also enjoyed woodworking, gardening, the outdoors, and his aviary of exotic birds. He was known to all to be an authentic man who never left a word unsaid. He was the leader of our circus family, who enjoyed listening to all the stories of his life. He loved spending time with his five grandchildren, Jeremy, Brendan, Christopher, Mariah (Broc), and Alexis. Tony Sr. worked hard, travelled and lived a full life and his infectious smile will be missed by many. He is survived by his wife Johanna, son Tony (Eunice), daughters Delilah (Alain), and Bekki. A Memorial Tea will be held Saturday, February 2, 2019 from 1-4 pm at Mulder’s Restaurant, 1821 Canyon Street, Creston, B.C.